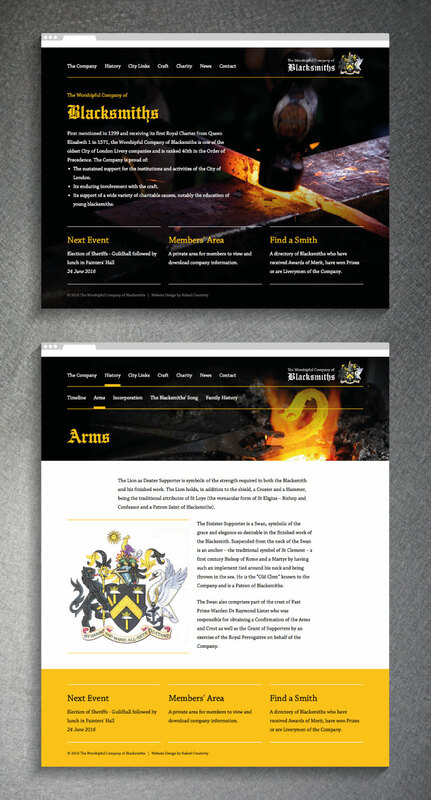 First mentioned in 1299 and receiving its first Royal Charter from Queen Elizabeth 1 in 1571, the Worshipful Company of Blacksmiths is one of the oldest City of London Livery companies. 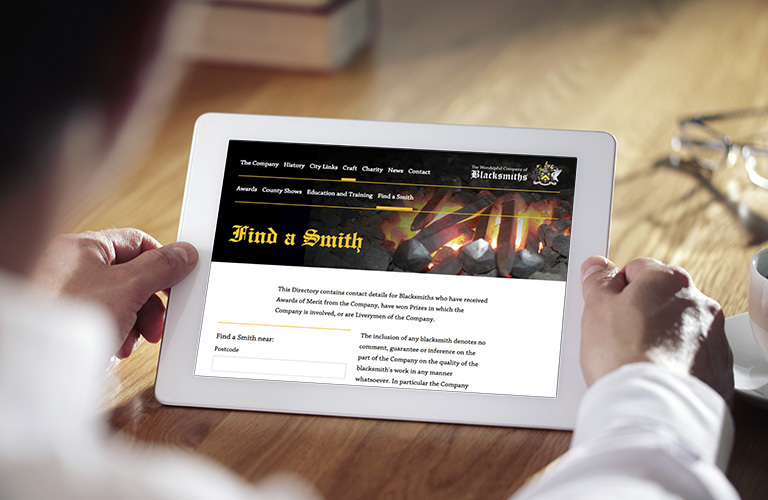 Blacksmiths approached Naked Creativity to design and development a new website. 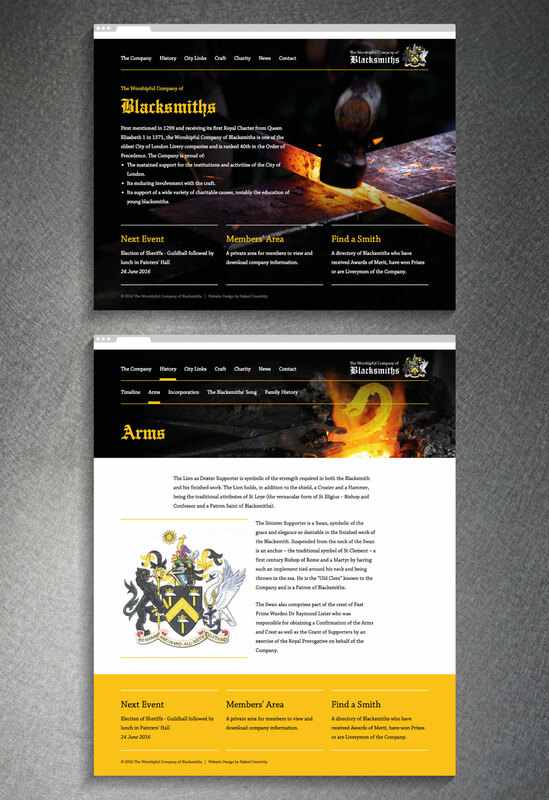 Key amongst the objectives was to promote the Company’s charitable work supporting blacksmithing as a trade and craft. 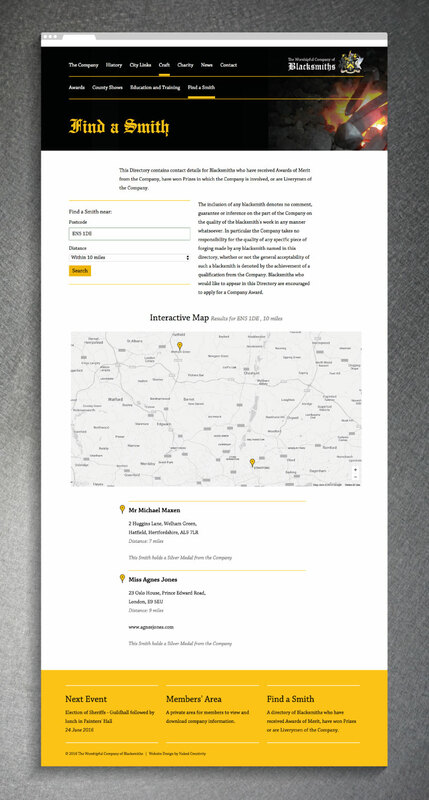 The new website also had to improve the administration of the Livery’s members for the Clerk. 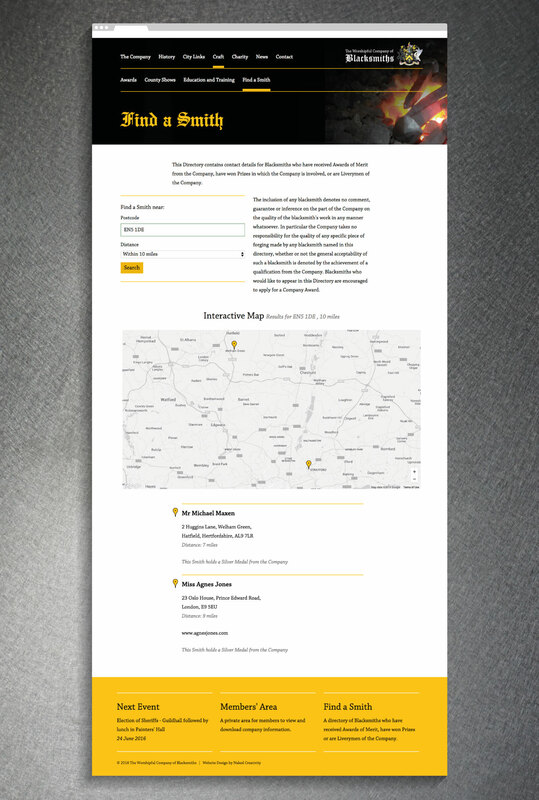 Naked Creativity delivered a contemporary website design with clear navigation, easy-to-find content, and useful functionality such as the ability to find local Blacksmiths. This “Find a Smith” capability is powered by information stored in the secure Members’ Area and database, and is automatically updated as changes are made by the Clerk. 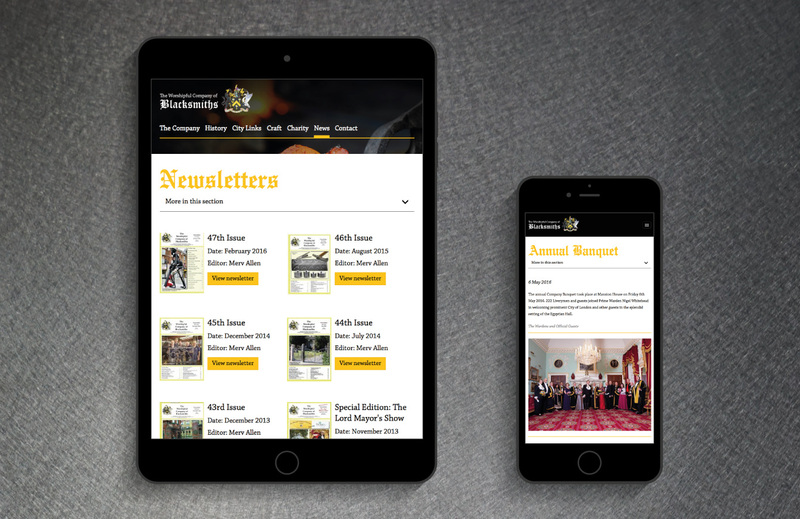 The Members’ Area contains useful information for Livery members, such as forthcoming events, notifications and news. This is hidden from regular website visitors, and can only be viewed once logged in.